Can you be suspended for Internet speech and expression? Aaron* was in the 8th grade at Weedsport Middle School in New York. 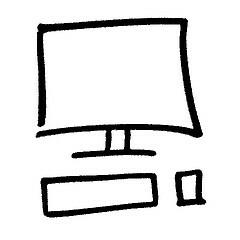 He designed an AOL Instant Message icon on his parent’s home computer. It depicted a hand-drawn pistol shooting at a person’s head. Underneath was the statement “Kill Mr. VanderMolen,” Aaron’s English teacher. Internet speech is a new and developing area of the law. Courts are catching up with technology and sometimes reaching conflicting decisions on these issues. Find out more about free speech rights online. *Wisniewski v. Weedsport Central School District, 2007 WL 1932264 (2007). how much trouble can somebody get into for posting a pic of somebody saying “I could f****** kill her” for one day and then deleting it and turning themselves into their Vice Principal? Dear Emily: That depends on the Code of Conduct at the school. School’s have the right to discipline students and that includes their behavior online if it disrupts the school in any way. Take a look at your Student Handbook for the rules and consequences regarding online activities that affect classmates and teachers. Good luck.